For more than 50 years the Winzinger name has been associated with quality and professionalism in heavy construction. From county roads to major east coast highways to revitalized urban areas in the nation’s busiest cities, Winzinger has left it’s mark. Our experienced and dedicated staff share the Winzinger’s high standards and commitment to environmentally sound development. Of course, customer service is a top priority, and we take great pride in an outstanding record of jobs delivered on time and within budget. Call 609-267-8600 today for a FREE estimate! 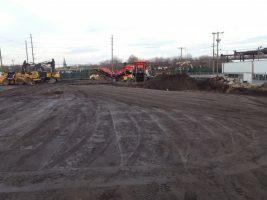 Winzinger, Inc. is pleased to have been awarded the contract by Grace Construction at GH Bass in Camden, NJ. 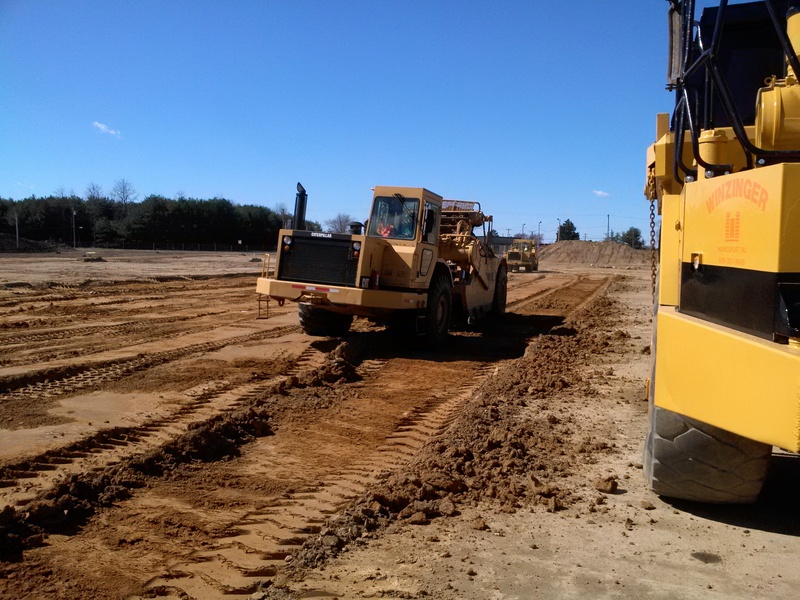 Initial contract included excavation to depths of 5′ and 8′, screening, crushing of material and re-compaction over entire site to prepare area for a new recovery center building and parking lot. 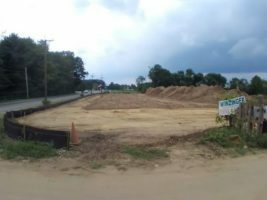 AC Powered and Winzinger are moving forward with the Closure of the Winzinger Landfill in Delanco, NJ. Once Closure is complete, Soltage will install solar to supply energy to the neighboring freezer warehouse. 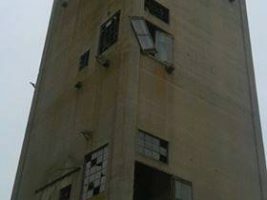 Winzinger, Inc. took on the task of demolishing the Grain Silo in Elmer, NJ. 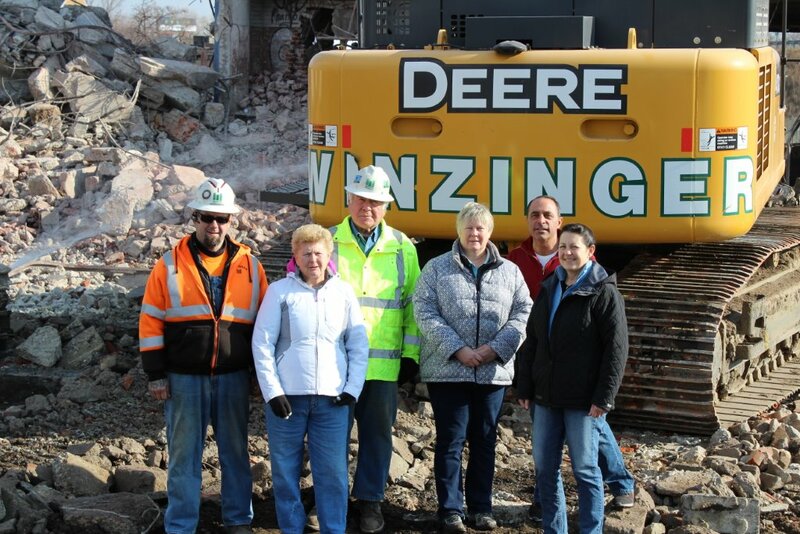 Winzinger Inc. is working with USA Environmental Management Inc. in the demolition of the Camden High School. 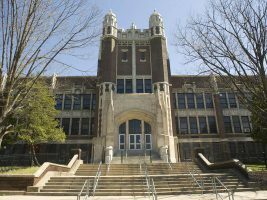 Before any demolition can begin at the Camden High School, all of the designated artifacts must be removed to the owner’s storage facility. On this day, it was the center of the basketball court featuring the school’s emblem. Contact Our Experienced And Dedicated Staff!